On this Easter weekend, it is appropriate to write about Rev. Jeremiah Wright and Rev. Edward Pinkney, two African American ministers in the upper Midwest who have made a good faith effort to live their lives as Jesus of Nazareth lived his, and who have suffered for it as a result. Last year, however, right around this time, Barack and Michelle Obama decided that they would leave this church that, unquestionably, had been a major influence on their lives. They did so, it is very clear, because they felt that there was no chance Barack would ever become President if he didn’t. The corporate and right-wing media had distorted comments made years before by Rev. Wright, and the media frenzy forced Obama into choosing between his Presidential ambitions and loyalty to a man who had been a friend, a mentor, an inspiration and more. To his credit, Rev. Wright seems to have handled well the tremendously negative, essentially racist attacks on his character and credibility. He retired last year as minister of Trinity church, but he has been traveling the country speaking, letting people see and hear for themselves. He continues his life of prophetic witness on behalf of the least of these, the victims of imperialism, a word he doesn’t hesitate to use, in opposition to oppressors and on behalf of the oppressed. So has Rev. 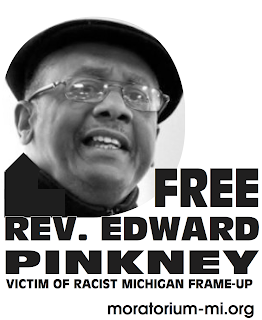 Edward Pinkney of Benton Harbor, Michigan, doing so effectively, and as a result he has been under indictment, under house arrest, in prison, and/or fighting ridiculous charges for over three years. Benton Harbor is a town of about 11,000 people on the southwestern side of Michigan , 90% black and overwhelmingly poor. It burst onto the national scene in 2003 when its young people rose up in response to a series of local police killings and beatings. Rev. Pinkney and a local community organization, BANCO, have been involved for years working to change the conditions of life for Benton Harbor’s residents. In 2005 he helped lead a successful recall election of a notoriously racist and abusive city commissioner. The local white-dominated power structure had that result overturned and then went after Rev. Pinkney with false charges of paying people to vote the right way. They failed to gain a conviction in their first trial in 2006, so in their second trial they made sure that there were no blacks on the jury, and in March of 2007 an all-white jury convicted him. He was sentenced to one year in prison and five years on probation. From May to December of that year he was kept under house arrest on an electronically monitored tether. After a year in jail, and after his case was taken up by the American Civil Liberties Union, he was released on bail just before Christmas, 2008, once again confined under house arrest. Just recently, a June 9th date was set for a hearing on his case before the Michigan Court of Appeals in Grand Rapids. “We must stop Whirlpool, Rep. Upton, and Harbor Shores developers. We are calling for an International Boycott of all Whirlpool Products to begin May 1, and all stores which sell Whirlpool products. 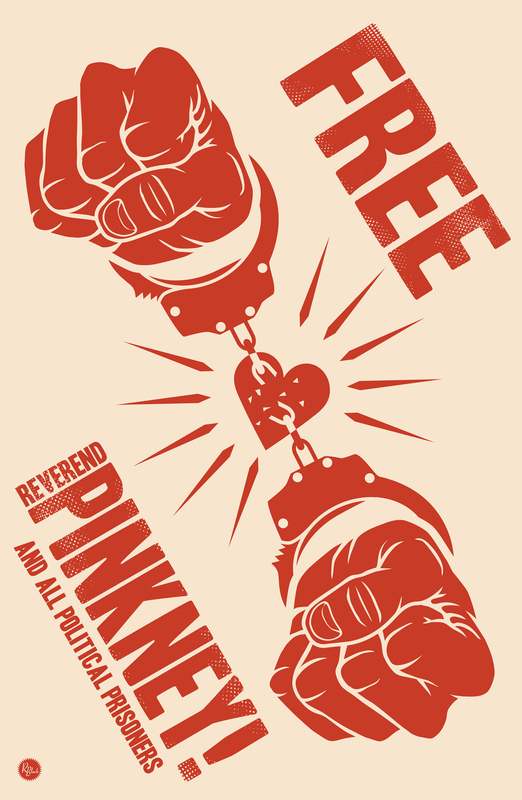 On this weekend when hundreds of millions of people worldwide celebrate the continued inspiration of a man who, 2,000 years ago, threw the corrupt money-changers out of the Jerusalem temple, we would do well to remember and appreciate our present-day prophets, people like Reverends Wright and Pinkney. More information on the boycott and the Benton Harbor struggle can be found at http://www.bhbanco.org. Rev. Pinkney can be contacted directly at 269-925-0001 or banco9342@sbcglobal.net. Ted Glick has been a progressive social change organizer since 1968. More information and past writings can be found at http://www.tedglick.com.